Sentinels of the Multiverse: The Soundtrack. Environments, Villain themes and more! 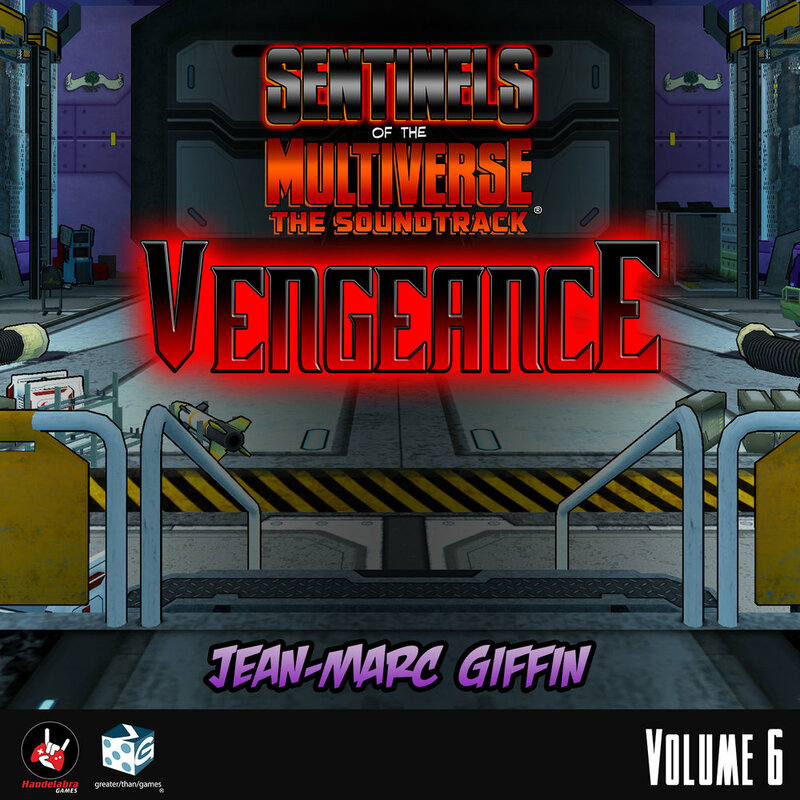 Own the music from Sentinels of the Multiverse: The Video Game! Includes environment music, themes, as well as Villain victories - 13 tracks total! Own the music from Infernal Relics, the second full expansion to Sentinels of the Multiverse: The Video Game! Includes environment music, themes, as well as Villain victories and variants - 10 tracks total! Own the music from Shattered Timelines, the third full expansion to Sentinels of the Multiverse: The Video Game! Includes environment music, themes as well as Villain victories and a bonus Hero theme! - 11 tracks total! 5) Oh Captain! La Capitán! Own the music from Wrath of the Cosmos, the fourth full expansion to Sentinels of the Multiverse: The Video Game! 9) Let's Make a Wager! Own the music to Vengeance, the first mega-expansion to Sentinels of the Multiverse: The Video Game! Includes stems of the Vengeance Villain themes to mix your own song when purchased from Steam, Bandcamp, or Handelabra.com! 7. Citizens Hammer & Anvil.